As any new technology evolves, certain aspects of its features can get lost in translation. As we celebrate our year's successes, we're also pausing to address some misconceptions we heard this year about Dockwa, so that we can all start 2017 with a bang. We love boater feedback. We rely on it to make our site, app, and communications better. We seek it out, talking with boaters over email and Facebook, on the phone, and face-to-face whenever possible. Want to chat about your boating habits and experience? Get in touch. Myth #1: When you reserve through Dockwa, you're not reserving directly with the marina. Some boaters are under the impression that when booking through Dockwa, an employee of Dockwa sends an email or calls the marina to make arrangements for your vessel. FACT: When booking with Dockwa, there is no middleman. When you request your dock or mooring reservations using the Dockwa app or website, the marina receives those requests immediately, with no intervention on our end. Marinas use Dockwa's marina software on their end to confirm and manage reservations, and to communicate with guests. In addition to garnering faster approval times, this direct communication prevents your request from getting lost in any spam filters, and Dockwa's encryption and security keeps your personal information safe. Myth #2: Dockwa partner marinas are not allowed to accept dockage requests by phone. Because some marinas don't accept reservations by phone, boaters have assumed that Dockwa was the influencing factor, forcing marinas to take reservations only online or by app. Why would a marina shun phone reservations? 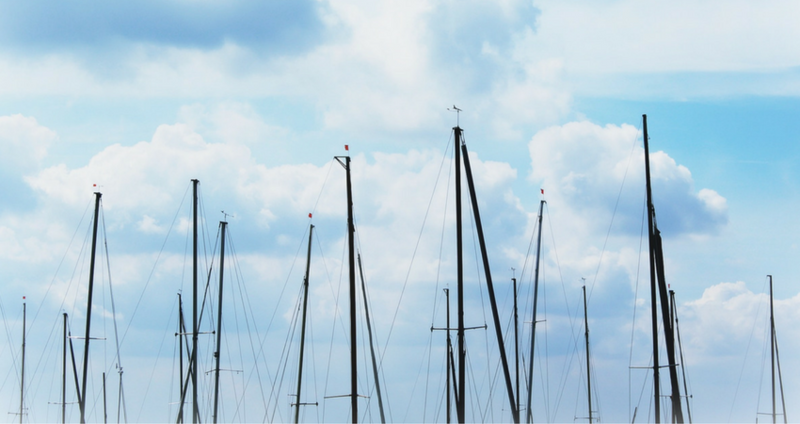 Many marinas find using Dockwa to take reservation requests to be much more time and cost-efficient than staffing their office to man the phones. They also find that the Dockwa app eliminates any chance of reservations getting lost, misinterpreted or transcribed incorrectly. Myth #3: Dockwa's rates are higher than the marina’s rates. Some boaters have the impression that booking through Dockwa is more expensive than calling the marina to book, either due to an imagined booking fee or a stealthy price markup. FACT: Dockwa charges exactly what the marina, yacht club, or shipyard would charge if you booked over the phone, by VHF, or while tying up. We don't inflate the prices, we don't tack on a booking fee, and there are no other hidden charges. Myth #4: Dockwa's cancellation policy does not reflect each marina’s cancellation policy. FACT: When a marina joins the Dockwa network, we setup its exact cancellation policy in the Dockwa system. This custom policy governs your reservation and right to cancel your reservation. These policies range depending on the marina. From no cancellation policy, to a few hours, up to 30 days or even completely nonrefundable. When you reserve, whether via Dockwa or another avenue, be sure to check the marina's cancellation policy. Myth #5: "Becky at Dockwa" is not a real person. This summer a surprising number of boaters stopped by the Newport office or emailed to ask if "Becky at Dockwa" is a fake persona, like Flo at Progressive. FACT: I'm a real person! I'm a boater myself, getting out on the water as much as possible in New England and the Caribbean, and hoping to explore more new harbors in 2017. For New Year's Eve I'll be on St. Thomas checking out the new sailing school and cruising around the BVIs with friends – if you're in the neighborhood, give a holler! 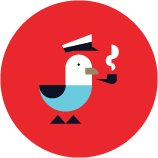 Anytime a boater responds to a blog post or newsletter, I respond or work with our awesome Support team to resolve an account issue. If you want to say hi, please do! I love hearing what our boaters are up to. There you have it! Keep the feedback coming. You can get in touch with questions, suggestions, stories, and praise by emailing info@dockwa.com.